the default email app that comes with our Android device is just for basic use, and it doesn’t look modern. So, in this article, we have decided to share you ten best Android email apps that you can use in 2019. 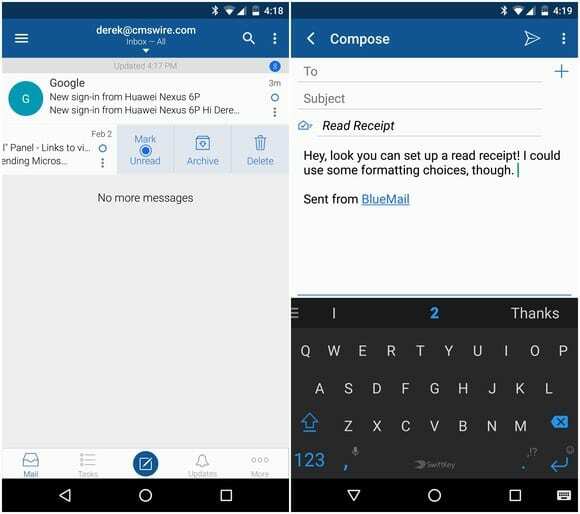 So, check out the 10 best Android email client apps 2019. It’s of no doubt that Email is one of the oldest forms of online communication. Even now, it’s considered as one of the essential forms of online communication. In fact, we all have first started using email, and later on, we adopted different means of communication like instant messaging, social networking, etc. Even though we use it rarely now, it still takes a soft corner of our heart. Of course, we do have an email address, but we use it for professional purposes only. In fact, smartphones nowadays also come with a default email app which supports almost every email service provider like Gmail, Microsoft, Mail, etc. However, the default email app that comes with our Android device is just for basic use, and it doesn’t look modern. 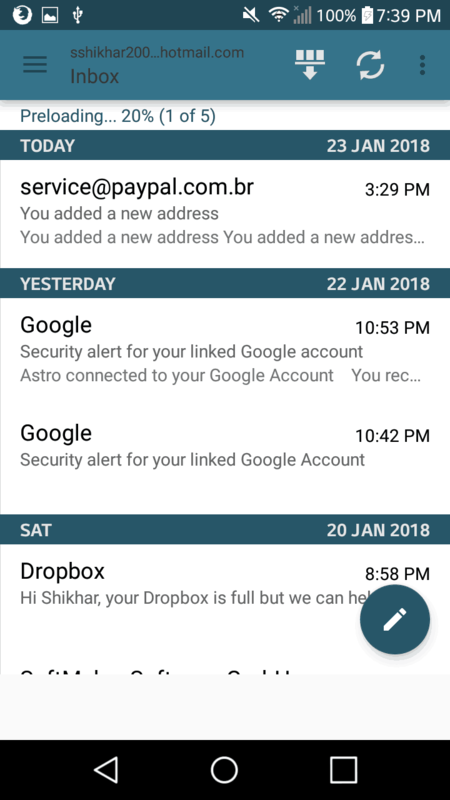 The default Android email apps don’t come with compelling features that could help to manage multiple emails. So, in this article, we have decided to share you ten best Android email apps that you can use in 2019. Well, you can’t even use your Android device properly without having a Gmail account. Gmail which is backed by Google is one of the best and reliable service provider whom you can trust on. 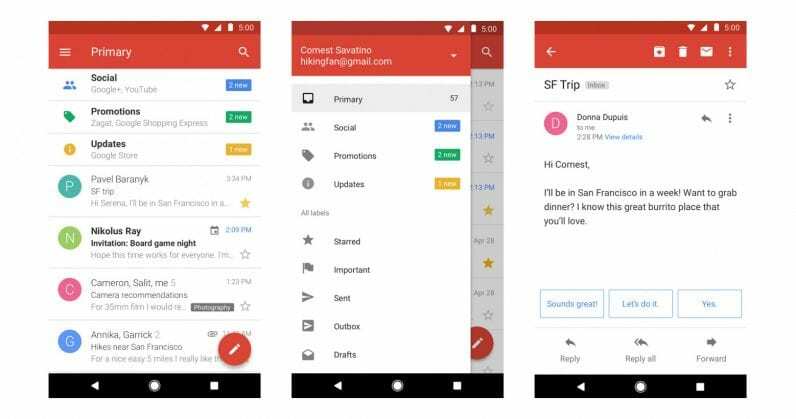 The Gmail app for Android offers almost every feature for your email needs. Not just that, but the Gmail app looks amazing, and it also has multiple account support. Well, K-9 Mail is another best and open source email client that you can have on your Android smartphone. The great thing about K-9 Mail is that it has support for multiple accounts. Apart from these, the email client for Android supports IMAP, POP3 and Exchange 2003/2007. 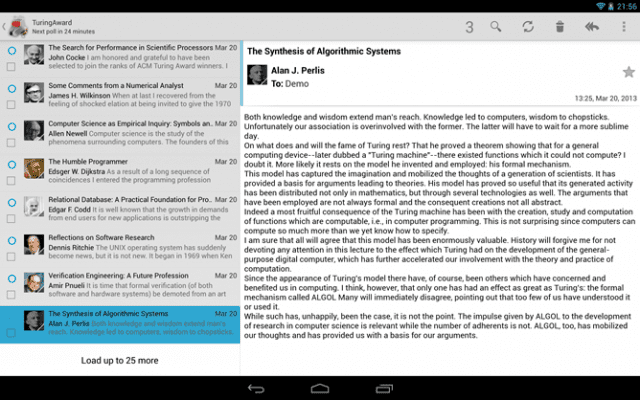 So, it’s another best free Android email client which you can use today. Well, if you are searching for a feature-rich email client, then Boxer – Workspace ONE might be the best one for you. The great thing about Boxer – Workspace ONE is its interface which is just amazing. Boxer – Workspace ONE supports iCloud, Gmail, Outlook, Yahoo, Hotmail, etc. So, its another best Android email clients 2019 which you can use. 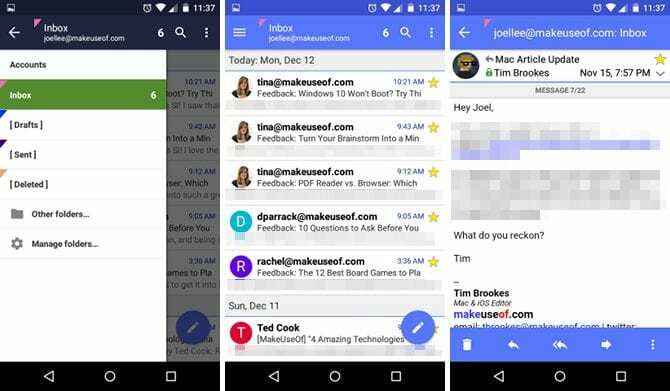 Well, if you have loved the Gmail app from Google, then you will love Inbox by Gmail as well. This is a more advanced version of the Android Gmail app that comes with some unique features. You can take Inbox by Gmail as an email organizer which helps to organize your most important stuff. For example, you can bundle similar messages, set reminders, snooze emails, etc. Well, if you are looking for a beautifully designed, universal email client, then Blue Mail might be the best choice for you. The great thing about Blue Mail is its interface which is pretty amazing. Apart from all of these, the app has support for Gmail, Hotmail, AOL, Outlook, Alto, Yahoo, etc. So, its another best email client for Android which you can use. Aqua Mail – Email App is one of the top-rated email clients on Google Play Store. This is basically a go-to-app for all your email needs. The great thing about Aqua Mail – Email App is that it supports multiple email providers like Gmail, Yahoo, FastMail, Apple, AOL, etc. So, you can manage multiple email accounts in one place. So, Aqua Mail – Email App is another best Android email clients 2019 which you can use in 2019. Well, MailDroid is one of the best and oldest email clients that you can use on your Android smartphone. The sole focus of MailDroid is to make the emailing process easier. 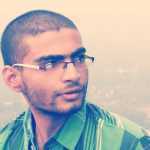 The app has oAuth2 to Yahoo Mail, AOL, Mail, Outlook, Gmail, etc. Another best thing about MailDroid is that it allows users to set up custom mail rules. So, it’s another free Android email client which you can use today. With myMail, you can manage all your email accounts at once! Whether it’s Hotmail, Gmail, Yahoo, Outlook, AOL, iCloud, Live, Exchange or GMX, myMail email client supports all major mail providers and any other IMAP or POP3-enabled mailbox. So, myMail keeps your mail securely in one place. It’s one of the best email clients which you can use in 2019. 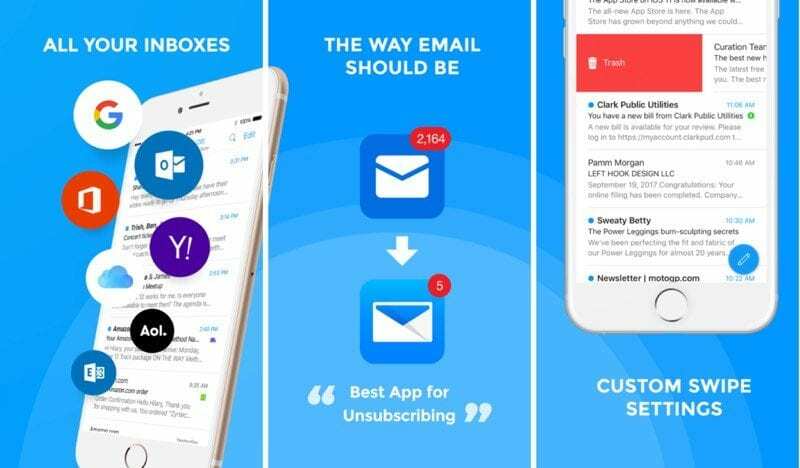 Email by Edison (formerly Email by EasilyDo) is a brand new, elegantly designed, universal mail app to manage unlimited mail accounts from different providers including Gmail, Yahoo Mail, AOL Mail, Hotmail, Outlook, Exchange, IMAP, Alto, iCloud and more. The app packs everything that needed to be the best email client for Android. Microsoft Outlook is a dedicated app for outlook email service. However, the app has support for Microsoft Exchange, Office 360, Outlook, Gmail, and Yahoo Mail. The email client for Android is backed by Microsoft which gives the app an upper hand regarding reliability. You can manage multiple email account, schedule tasks, and can do a few important things with Microsoft Outlook. Email TypeApp is a free and beautifully designed email app for Android that allows users to manage different email accounts from a single app. The best thing about Email TypeApp is that it supports a wide range of email protocols and services including Yahoo, iCloud, Gmail, OutLook, and more. Apart from that, Email TypeApp also offers users multiple modes and it can sync Calendar and contacts. 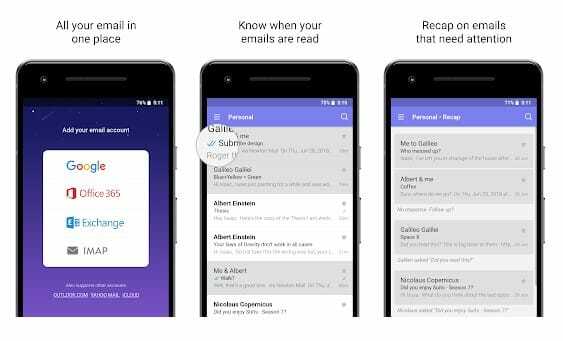 If you are searching for the perfect alternative of Gmail’s native app, then Newton Mail might be the best pick for you. The great thing about Newton Mail is that it’s available on almost all major platform including MacOS, Chrome OS, iOS, etc. The app also has cross-platform abilities and it supports a wide range of email provides like OneNote, Evernote, Zendesk, etc. 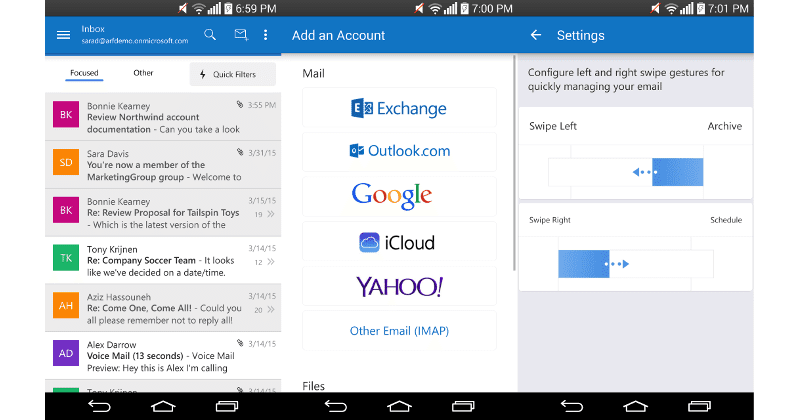 Boxer is one of the advanced email apps that you can use on your Android smartphone. The app offers lots of unique features like swipe gestures, quick-reply templates, quick sharing of calendar and contacts, etc. The app has an intuitive design and some unique features which can help you to conquer your email, manage calendars, etc. 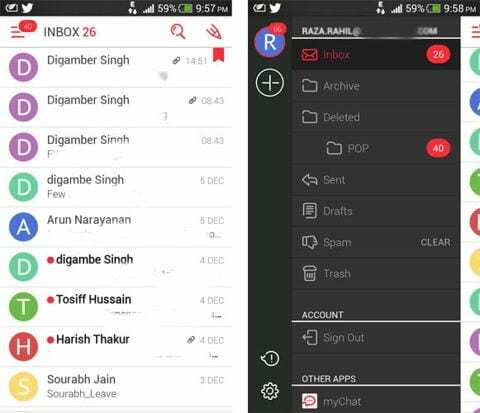 So, Boxer is another best email app for Android that you can use right now. So, these are the ten best Android email apps that you can use in 2019. It’s worth to note that there are few others email clients for Android available on the Google Play Store, but we have only listed the popular one. So, what’s your opinion on this? Share your views in the comments.